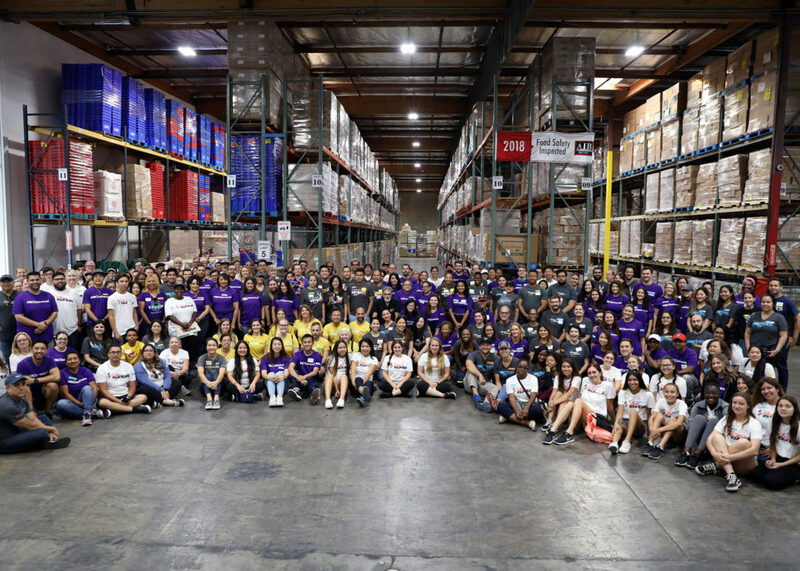 For the fifth year, the major studios of Los Angeles came together to fight hunger. 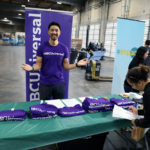 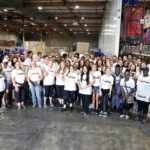 Disney, Fox, Paramount, NBC Universal, Sony Pictures, Warner Bros. and The Actors Fund brought over 200 volunteers to our Annual Studio Day to pack food for those in need in our community. 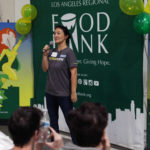 “We truly appreciate the entertainment community for all they do to help the Food Bank and Los Angeles County. 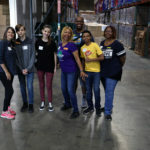 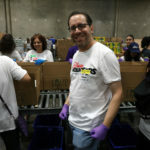 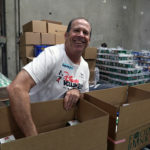 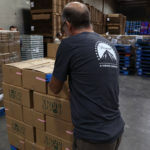 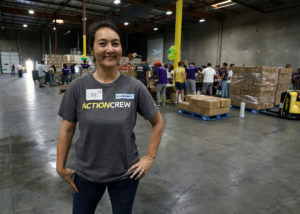 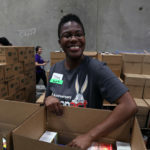 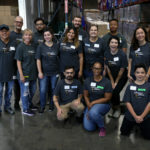 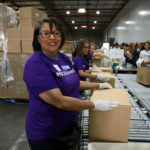 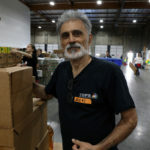 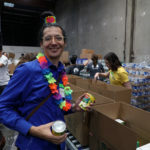 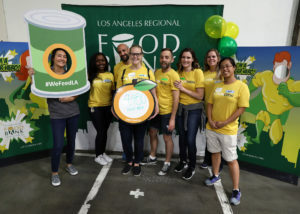 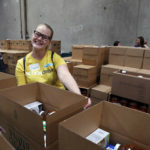 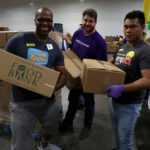 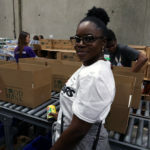 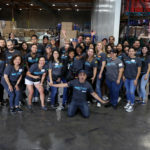 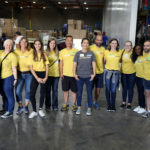 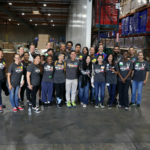 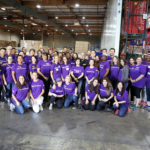 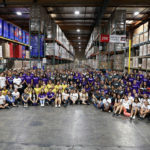 Each year, their employees come to help us pack and sort food, showing that they are dedicated to making Los Angeles better for those who live here ,” said Food Bank President and CEO, Michael Flood. 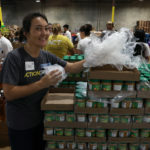 This year, the volunteers packed 4,480 senior kits for our Senior Nutrition program. 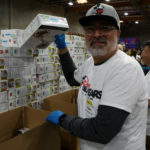 The Food Bank has one of the largest senior food assistance distribution program in the country, feeding more than 28,000 seniors each month. 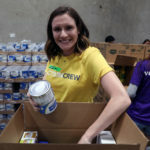 Providing food to seniors in our community helps them live longer, happier and healthier lives.